This is the power of suggestion at work. The week before Thanksgiving, my son says to me, "Mom, you should make a Christmas quilt for us this year." Sure, thing Buddy! The next thing I know I was shopping for fabric. 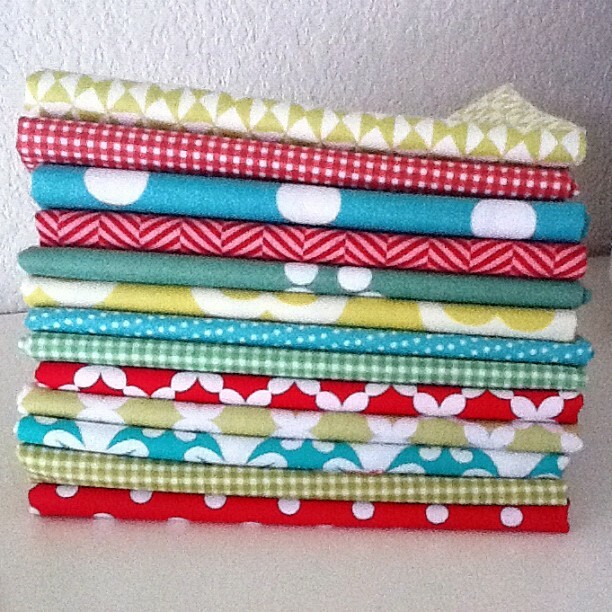 I picked out lots of happy, fresh, crisp colors in red, lime, kelly, pink and aqua. First, I cut a bunch of strips for the over-sized rail fence blocks a la ORBCO. Then I added the over-sized square blocks because the gnomes *had* to be fussy cut. Last, I had to figure out a way for it to all go together. This is what I came up with and I'm calling it, "Happy Christmas". I'm silly excited that I bought the mini gnome print for the back! 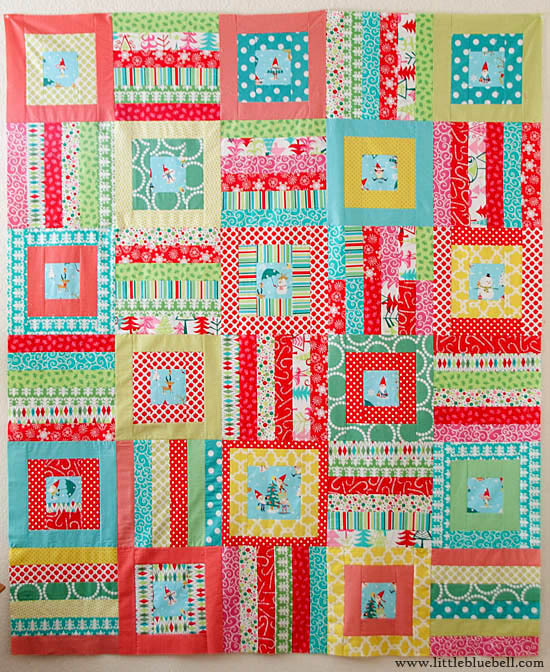 Don't you love it when the kiddos "pressure" us into making them a quilt-hehehe...I personally love it!! This is great! I love the colors and the way you put everything together. With those colors, there is no reason you need to put it up after Christmas. 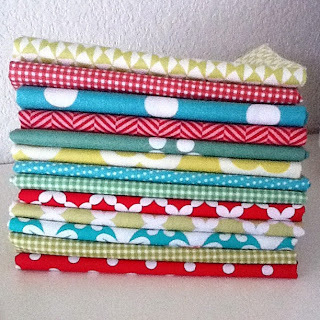 I'm making my first Christmas quilt too! I love those little gnomes! Such a sweet quilt. Hi Julie, I bought 1/2 yard of the gnomes and I ended up using most of it. I cut almost all of my gnomes into 4.5" squares and that ended up wasting the near by gnomes. If you used smaller cuts, you could get even more gnomes for a project. Oh my goodness. 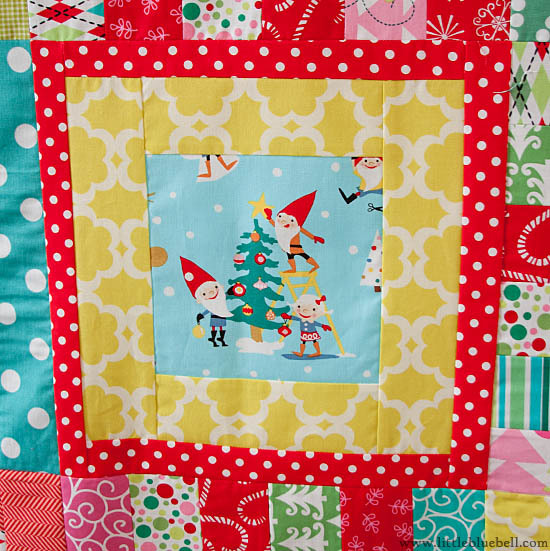 That is the happiest Christmas quilt I have ever seen!! 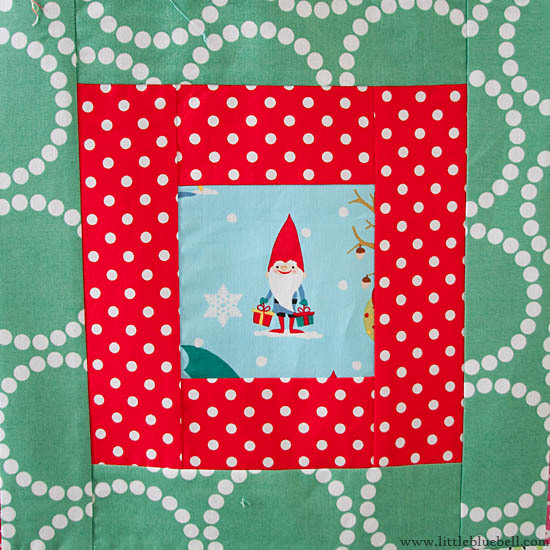 This little gnome quilt is darling!! Love the cheerful colors. This is perfect in every way! Nice fabric selection!! !